Like the other Android releases for the series, Five Nights at Freddy's 4 now has a free demo available. It's been added to the widget area below. Developer Scott Cawthon has an output schedule that would make the producers of the Saw movies jealous. 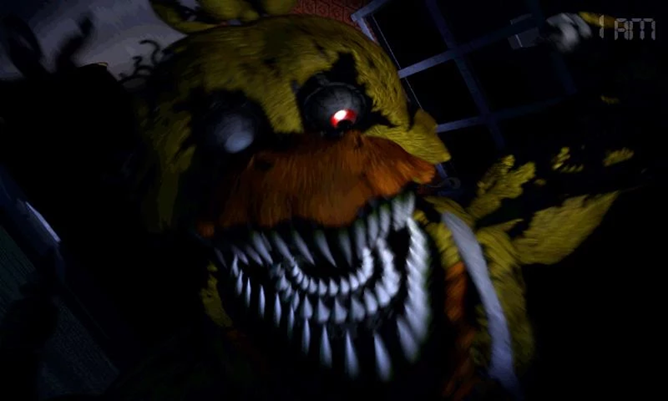 It's been just under twelve months since the original adventure-horror game Five Nights at Freddy's was released on PC, followed by the second entry in the series in November of last year and the third in March. 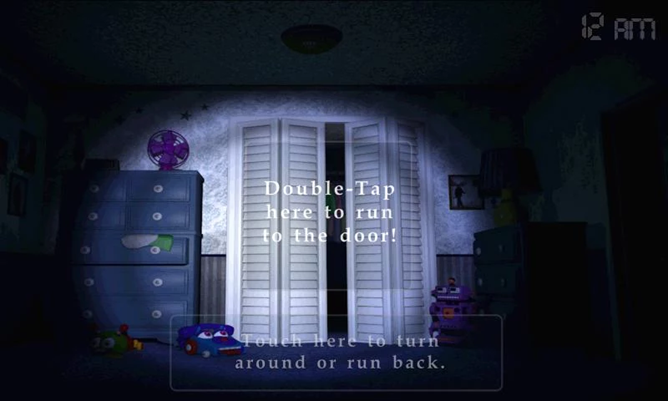 The latest version, Five Nights at Freddy's 4, gets an almost simultaneous release - it came out for Steam on Thursday and now you can get it on your Android phone or tablet. The Freddy's games have all had a pretty simple setup so far: you're a security guard who's tasked with watching a building alone at night, and you have to watch various cameras and use a limited amount of power to open and close doors. Why? Because animate Chuck E. Cheese-style nightmare creatures are coming to get you, usually via a heart-gripping prerendered jump scare sequence. 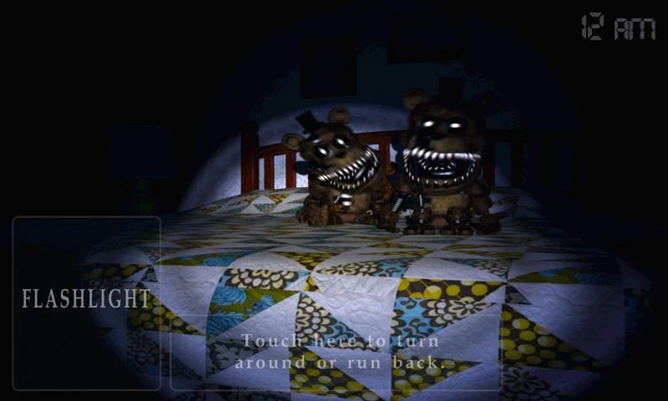 The fourth game in the series (reportedly "the last chapter of the Five Nights at Freddy's original story") mixes things up a bit. 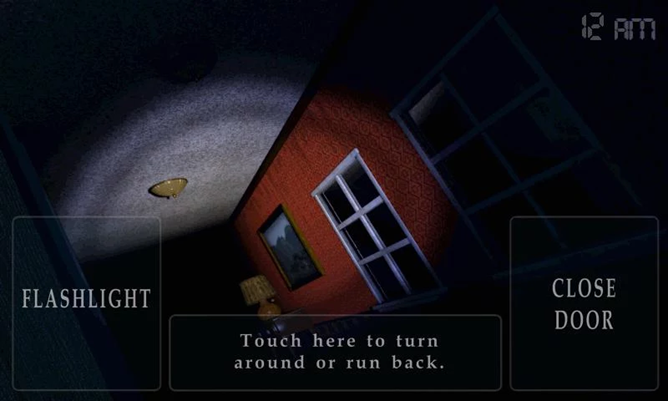 You play a child in a bedroom, and there are no cameras or power to manage - all you have to do is check the doors, closet, bed, and other nooks and crannies of your room with a flashlight for ravenous animatronic monsters. Alone. All night. Somehow the monsters from the original game have been made even more disturbing in this latest edition. If you manage to survive the night, the latest bits of the unaccountably huge Freddy's lore will be revealed, revolving around the somewhat freaky interactions of the child player-character and the Freddy Fazbear franchise. No doubt fans will be pouring over the various hints and Easter eggs for months. Five Nights at Freddy's 4 is available for $2.99 with no ads or in-app purchases, but unfortunately it's not compatible with Android TV.